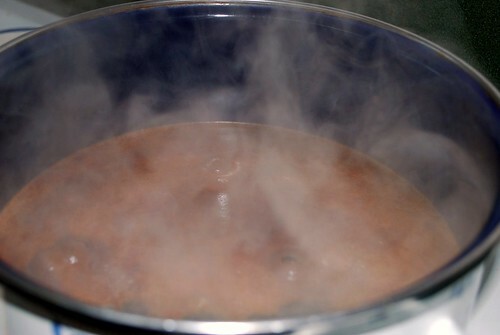 Heat up the water in a heavy saucepan over medium-high heat until it is simmering. Stir in cinnamon and cardamom. Pour in the apple slices. 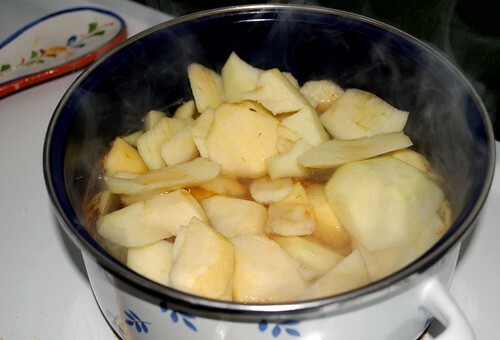 Turn the heat down and simmer, uncovered, for at least an hour – until the apples are tender and the water is nearly gone. 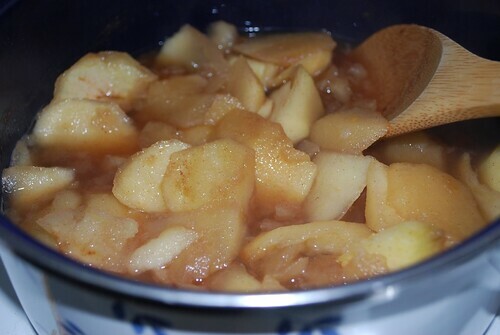 You can also do this in a crock pot – just cover the mixture and turn it on low for 4-8 hours. 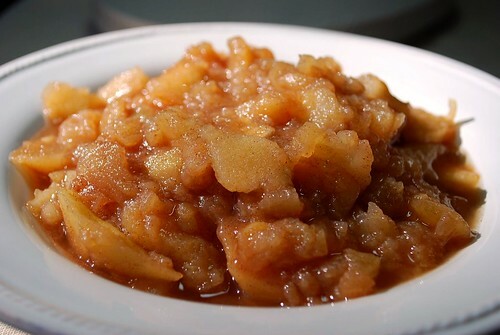 If you want to make applesauce out of the stewed apples, simply blend the mixture in a food processor or blender. 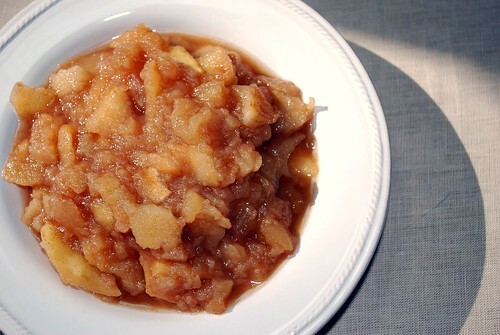 For lumpier applesauce simply blend using your mixer.